One Day More Fitness Blog: My NASM Personal Trainer Journey - What's Next? Welcome back to my weekly blog posts on my journey to becoming a personal trainer and what comes after. Today I'm going to talk about my plans for the next few months. 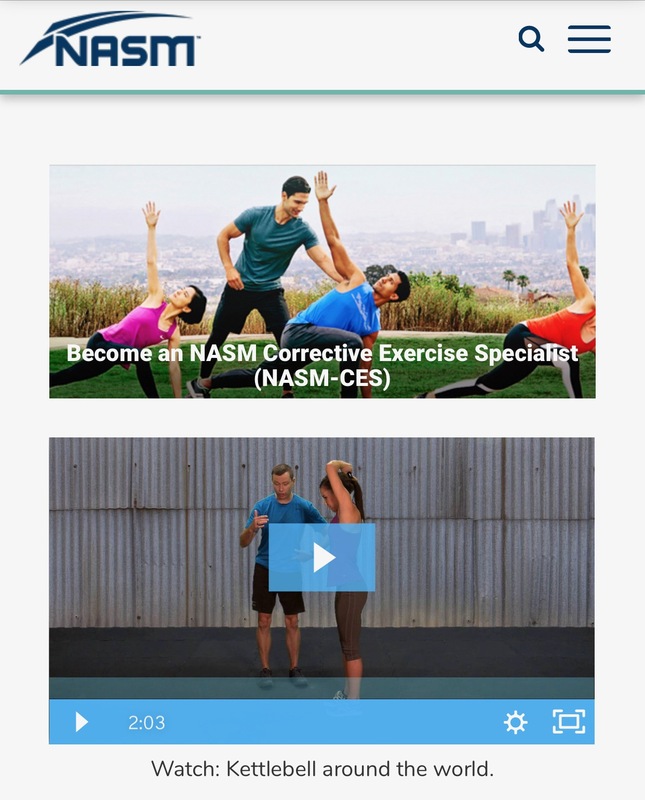 The first thing that I'm doing (and starting this week) is the NASM Corrective Exercise Specialty program in the continuing education specialization program. I've had this plan picked out since I first signed up for CPT program because this is exactly the kind if clients I want to work with; people with chronic pain, illness, issues with their body and muscles, plus it's what I deal with with my back (as evidenced by today's workout). This program will go much further in depth about assessments, the human body and muscles and how to better identify muscle imbalances and design more effective programs for my clients. This is a self-guided 15 module program (so 15 weeks if I do a module a week the way I did with the CPT program) plus a couple fo weeks of studying for the final that can be taken online. I'm really looking forward to this program! I've ordered the textbook (I got a PDF version but I wanted a hard cover because I study better that way) and I'll be starting the first module this week and will be blogging about it. The other thing that I'm doing at the same time as the CES program is my gym internship/personal trainer development program as long as NASM can find a NASM-affiliated gym that is willing to work with me within 20 miles of my home address. I had to do a resume before they could start looking for a gym and I should have a placement (or know that I won't have one) by August 30th. I'm hoping they can find a place because while I feel I have the book knowledge to start training I really need some hands on knowledge and education as well and this program is set up to go for 8 weeks, 10 hours a week and each week has its own assignments, discussion questions and so on. It's terrifying but interesting at the same time. If they can't find a gym near me they will refund that portion of my money but I'm really hoping they find something. On top of those two things I'm also doing a NASM workshop this coming Sunday right outside of Boston so I get to see my Boston area friends (we're actually going to the Museum of Fine Arts on Saturday). I get a continuing education credit for this workshop and it sounds like it's going to go over everything I learned while studying for my CPT. I'll be blogging about that next week as well! I think that covers things for now but I will keep doing weekly blog posts on this whole journey so please keep checking back!